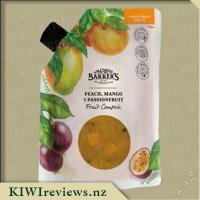 I was thrilled to receive this Peach, Mango and Passionfruit Fruit Compote in my review box recently, as I was fairly sure, with the Barker&apos;s name on it, like all of their products I have tried - it was likely to be full of fruit, flavour and be delicious. Wanting to try it, I first decided to pop it into the fridge to chill it, as I really wanted to try it as a topping on my yoghurt! 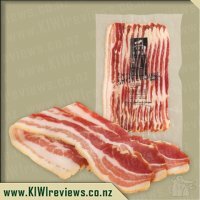 Looking at the package - it is well designed with a see-through window that clearly shows the colour, fruit and texture of what is inside - big chunks of fruit, amazing colour and mouth watering goodness. It is beautifully illustrated with the fruit contained inside and almost begs you to open it.The packaging is a nice thick plastic, so little chance of it splitting or breaking as you are using it. It sits very well either standing up in the fridge or lying down, and did not leak at all - FANTASTIC!! As well as this - the bigger spout allows no dripping of the fruit onto the floor - it goes exactly where you think it will. 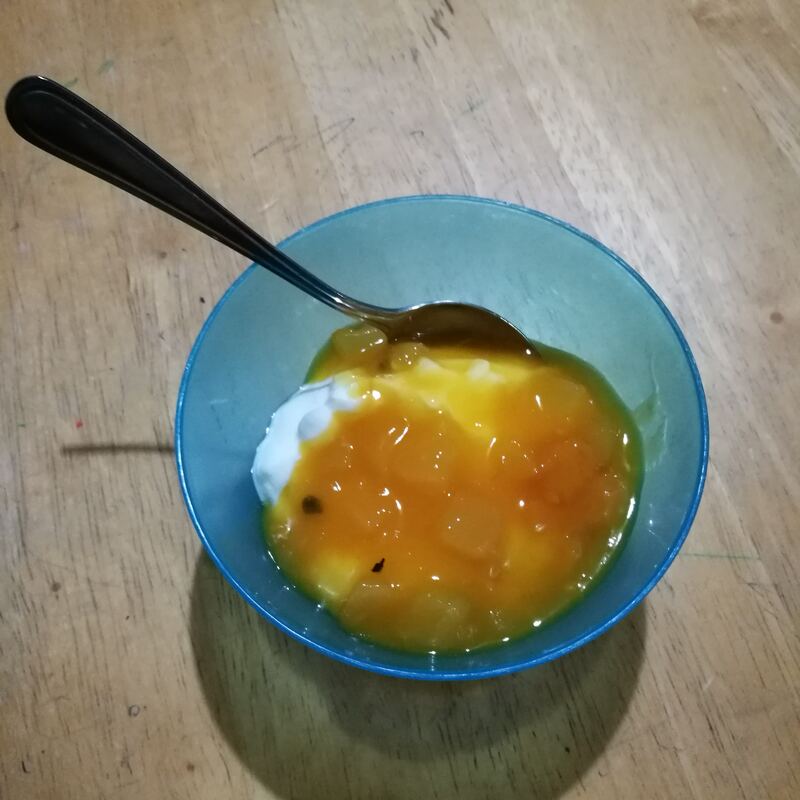 I had so many different ideas for this compote, but as I mentioned above - my first was to try it "straight" so to speak - onto plain yoghurt, so I could really taste the flavour. 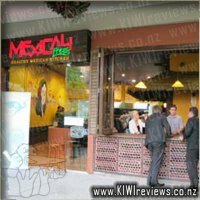 It is honestly so good - full of chunks of fruit, and delicious passionfruit seeds. I love that it is not too sweet - it complimented the yoghurt without overpowering it - and reminded me of the yoghurt you could buy where the flavouring was separate - where you could really SEE what you were mixing in ! Next I decided to make mini muffins using the compote - again, a delicious way to use it. The chunks of fruit really were delicious and the no mess way to measure them out was a winner with me. The three kids also tried it on ice-cream and called it their "fancy ice-cream"!! I am super excited to try other flavours of these compotes and am very glad I got to try them, as they exceeded my expectations. Barker&apos;s - you have not let me down yet - and for that I am very glad - thankyou for a great idea and product, with so many uses! 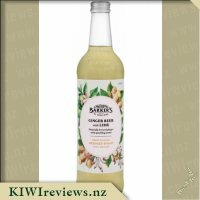 As with the barkers dressings I first discovered these new barkers compotes in a supermarket testing and was very excited to be selected to review this Passionfruit, peach and mango variety. I love all of these summer fruits and am always dissapointed when summer fruit season is over so a product like this is very exciting to me to get that fresh fruit taste even when summer fruit is no longer available to buy. Being a barkers product you can tell that real fruit has been used because not only can you taste it but you can see it too. This product is so versatile I wanted to try so many things with it because you can honestly use it in so many sweat dishes. 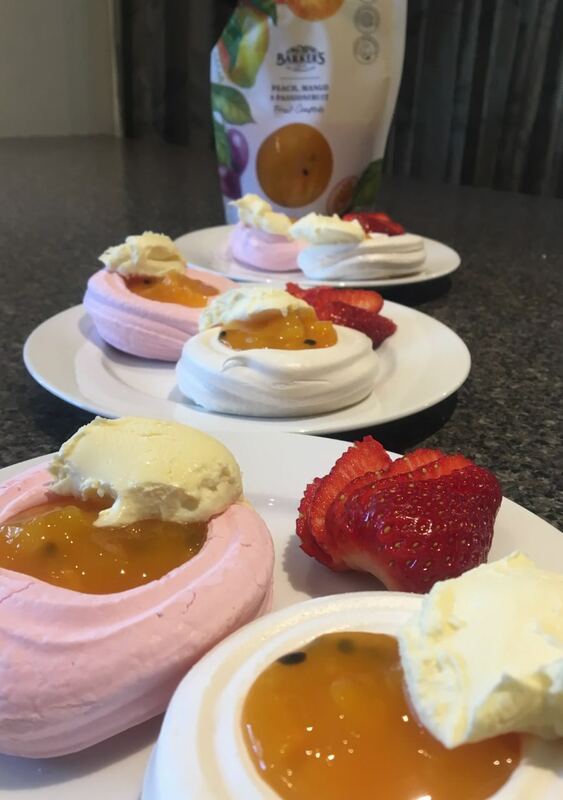 I loved using it on it&apos;s own over icecream and yoghurt but also found it perfect for our pavlova on Christmas day as it is sweet and adds a different texture with the cream and added fresh fruit it was a hit with the whole family and I will definitely be using it for pavlova again in the future. At Christmas I also used some for fresh pies as my children are not fond of Christmas fruit mince so having a sweet fruit option was more appealing to them and I must admit they went down well with the adults too much to the children&apos;s horror that they had to share their pies. 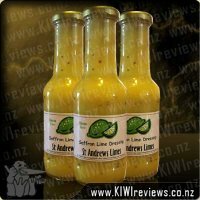 I think for a product like this the price is great I have bought passionfruit syrups before when a recipe calls for it in the icing and products containing passionfruit are not cheap so the price on this is fantastic. 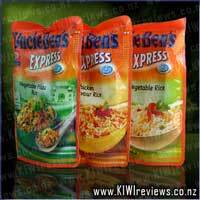 The packaging design is a great concept with the easy to pout plastic bag style with rescrewable pour lid. I love that you can see through the bag to see how much of the fruit compote is left and that you can store it easily after opening without the need to transfer to a different package or container. Barker&apos;s, you create some amazing products, and with this particular one you have out done yourself! 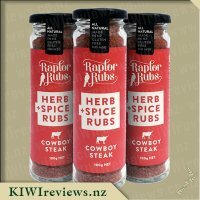 A product that is tasty and so versatile - it is the perfect thing to have in the cupboard for so many reasons! 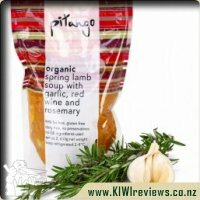 I wasn&apos;t 100% sure what to use it on, but the packet has a few suggestions on it and mentions a website that you can go to to look for more recipes. I only wish I had looked at this website earlier. It has so many recipes using a wide range of their products. 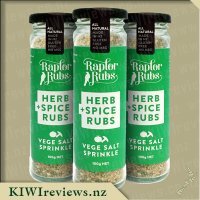 I need to spend some time going through all of the products I currently have and print out all of the recipes I would like to try. Sometimes it is easy to get stuck in a rut with what I eat, so some new inspiration will help! 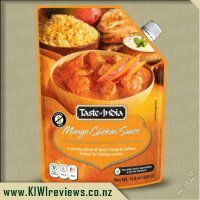 The peach, mango and passionfruit compote comes in a plastic pouch. The front has a clear window so you can easily see the product inside, and there is a black spout with screw on lid on the top. The pouch does stand up by itself, but was very easy to knock over when I was moving things around in my pantry. Having said that, once in the fridge the pouch will allow it to fit in many places, even in one of the door shelves if there was no other room. The lid was very easy to open up for the first time, and it was nice to find underneath a seal that needed to be pulled off. Easy to know that the item hasn&apos;t been opened anywhere along the way. Opening the pouch up I was met with the most amazing summer fruit smell. I could smell the passionfruit, but then also the peach and the mango, almost each ingredient one after the other. And the flavour was very similar. Sweet, fruity goodness! I love the chunks in it, it lets you know that it is made with a good percentage of actual fruit and not artificial flavours. The passionfruit seemed to be the base flavour with the peach and mango on top. To be honest, the mango was probably the most subtle flavour it in, but it didn&apos;t matter. This compote tastes perfect as it is! I tried it swirled into some natural greek yoghurt, and added some to a fruit smoothie for breakfast - both great ways to use it. I look forward to experimenting further with this product and will definitely be buying this one again! Thanks Barker&apos;s for creating such wonderful products! A Peach, Mango and Passionfruit Compote sounds a perfect thing to have on hand during summer. Barkers of Geraldine has just released one and I knew coming from them that it was going to be a great product. The packet gave lots of handy ideas I had not though of. I was quite excited to try it. The first thing I noticed was the clever packaging. It was a plastic pouch that had a see through window where I could see all the pieces of fruit inside. The pouch could stand up which was very handy when using and with storing. There was a wide screw top spout which meant no mess pouring and no risk of it making a mess in my fridge either. Prior to opening it could be stored at room temperature but after that it could keep for 14 days in the fridge. Our pouch didn&apos;t last 2 days from opening as it was so versatile and delicious. The first thing I did was add a dollop onto our dessert of mini pavolvas and ice cream. 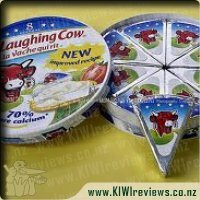 This was very popular and was much easier than cutting up fruit or even opening a can. It would also be a great way of having summer fruits in the middle of winter. The second thing I did was mix 3 parts natural yogurt with one part compote and freeze to make ice blocks. 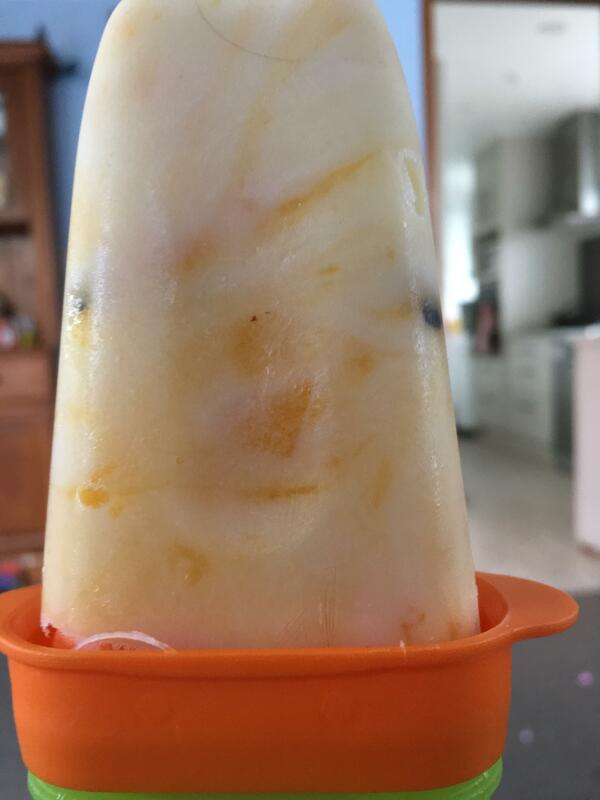 I like how the ice blocks had bits of fruit and the swirl of the two ingredients. Miss 7 and Miss 9 loved these so much that I was lucky to get one for myself. I fact Miss 9 was asking every half an hour if the iceblocks were ready yet. This proved to be a great motivation for them to get their chores done the next day. The rest of the compote did last until the next day but I had yogurt and compote for breakfast, afternoon tea and supper. It was so easy and refreshing as well as delicious.The compote wasn&apos;t as sweet as I expected which was a pleasant surprise. I am not a big mango fan but I really loved this. 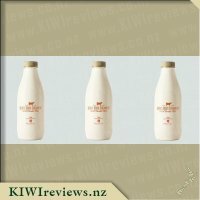 I am now keen to try Barker&apos;s other compotes as I am sure they will be as popular with my family especially in iceblock form. The name says it all really in this product Peach, Mango & Passionfruit Fruit Compote as this is exactly what you get here, a yummy sweet, fruity blend of 3 very yummy fruits all of which you can really taste! 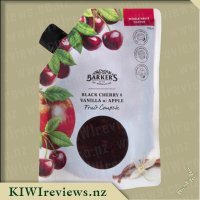 After recently trying out the Black Cherry and Vanilla variant of the fruit compote I was left in heaven and so I knew this one was likely to be just as amazing which it was, Barker&apos;s seem to have a real skill of making top quality products at affordable prices and this is another great example of this. The packaging for this product is perfect, as the design of the bag makes it easy to store in your fridge either standing up or lying flat without taking up a heap of room, and the large, wide spout makes it easy to pour out, the plastic like bag makes it easy to squeeze out the last of the product, which is something that you really need to do as this is just way too good to waste. The viewing window allows you to see the amazing product, one which is full of chunks of mango and peaches and real passionfruit. 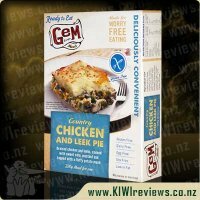 My mind was boggling with so many different ways in which I could use this product, but I decided for my first trial to go against all odds and add it to a savoury dish rather than a sweet one. I had planned on making individual chicken pies for dinner and decided to change my usual recipe up by adding this compote to the cooked chicken before adding it to the pastry cases, once in the cases I topped these off with several pieces of camembert cheese each and popped them into the oven to cook. 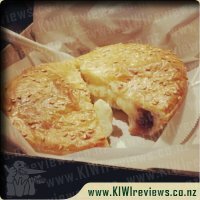 I have to say I was so impressed with the results the flavours of the fruits combined, with the chicken, cheese and crisp pastry were delectable and there wasn&apos;t a pie left in sight after my partner tasted these. Next up I tried this on some plain greek yoghurt for breakfast with Miss 4 the next morning, the fruit made the yogurt so yummy and reminded me of the little yoghurt try as I could buy as a kid where there was 2 separate parts one with a fruit sauce/compote and the other yoghurt I loved mixing the 2 together. It&apos;s normally a struggle to get Miss 4 to eat breakfast but not today she loved it and insisted on having the same the next day. Finally I decided to use the remaining compote to top off a cheesecake I had made, I prepared my cheesecake as usual and for my topping used the compote, I was going to pour it on straight from the pack but instead decided to make it into more of a set jelly so mixed it with a bit of gelatine and water to do so, this worked much better than I expected and made a very nice jelly/topping for my cheesecake and the addition of the chunks of fruit were very nice and added so much texture and flavour. Another great Barker&apos;s product that I have already gone and brought more of in another flavour I can&apos;t wait to try these out some more in different ways and I have a feeling that come Christmas there are going to be a lot of Barker&apos;s inspired dishes on my table. It is a long time since I have served something up to the family that every single person awarded full marks to, but this product succeeded on every count. We gave Mr Seven the job of deciding how to serve it. He opted for meringue nests and thickened cream which proved to be a popular choice with all of us. Everyone had two (except for Miss Five who could not manage a second), and there was plenty left over for another day - and, as this product keeps for two weeks in the fridge after opening, that was a huge bonus. We started by evaluating the packaging. A lovely bright, clean image on the pack with bold graphics that simply beg you to open the seal and inspect the contents! There is a generous spout which ensures that the contents are delivered with no mess or splashing, something to be aware of when children are doing the pouring! The fruit itself had quite a few chunky bits so the wide spout was perfect. And, as a bonus, the packet is designed to stand up even when it is partially empty so that means no accidental spills. Mr Seven read the packet and asked what the word "compote" meant. When he realised it was related to the word "compost", he said that was perfect as the meringue shells looked like little plant pots and the fruit on top looked just like flowers. An interesting point of view but I could see what he meant. The fruit combined several textures with smooth and chunky interspersed with the seeds from the passionfruit; Mr Seven&apos;s mother thought some younger children might not like the "lumps" but nobody else agreed; we thought it made the result more interesting. The taste was mouth-watering - sweet and very fruity. I am glad we had it with meringues as I could have otherwise eaten most of the packet on its own! It had none of the aftertaste or mushy texture you sometimes get with canned fruit, and although the three fruits were mixed together you could taste each one separately. We thought it would be good to take on a camping trip as it would make a quick dessert, and as we usually have a chilly bin with us, it would be easy to transport any leftovers back home. That is, assuming there were any! Mr Seven asked if he could take some to school in a pottle with some yoghurt, and Miss Five said she would be happy to take some on its own. I doubt there will be much in the way of leftovers! Use Sids Fenugreek Mustard on green beans & asparagus.